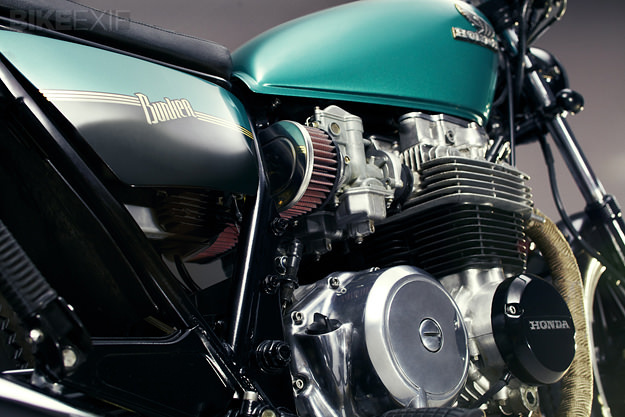 Turkey is not the first country you’d associate with custom motorcycles, but a young company called Bunker Custom Cycles is doing its best to change that. This elegant, beautifully finished Honda comes from Istanbul and it’s the work of Mert Uzer and his engineer brother Can. 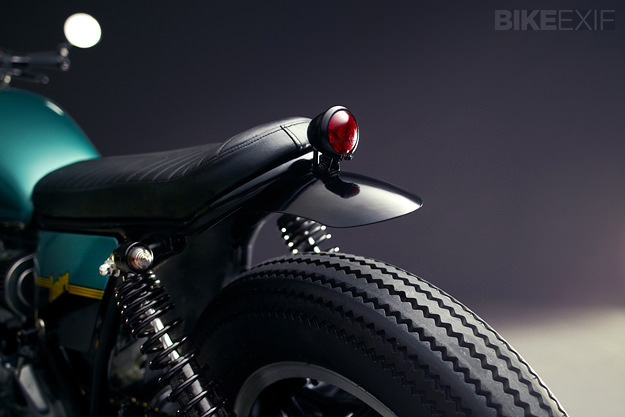 The first Bunker project was a ’61 Triumph bobber, a classic living-room build. 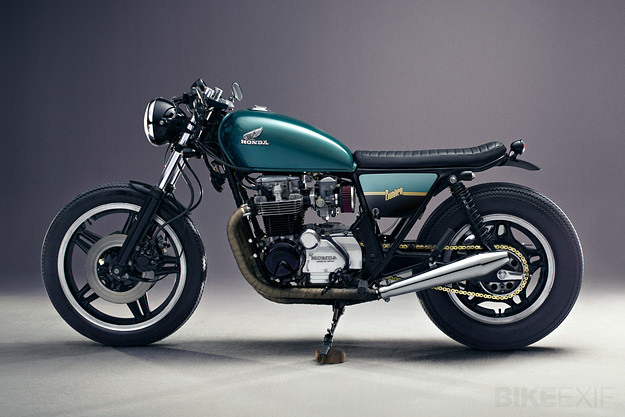 Since then they’ve worked on BMWs and Yamahas, and now we have this 1980 Honda CB650 Custom. As you can see, the Uzers have honed their craft to a high standard. Time has not been kind to the oddball CB650C. Unusually for Honda, it’s one of those awkward-looking bikes—in this case given longer forks and lowered shocks to mimic a ‘chopper’ stance. To remedy the situation, Bunker fitted 13.5” shocks from Dime City Cycles to raise the back end, and lowered the forks three centimeters. The stance is now just right. The engine was tired when the bike arrived in the Bunker workshop, so it’s been rebuilt and rebored to restore the performance to as-new. (Which is ample—63 hp from 626cc is pretty good even by today’s standards.) K&N filtration and a carburetor re-jet perk up the power a little more. 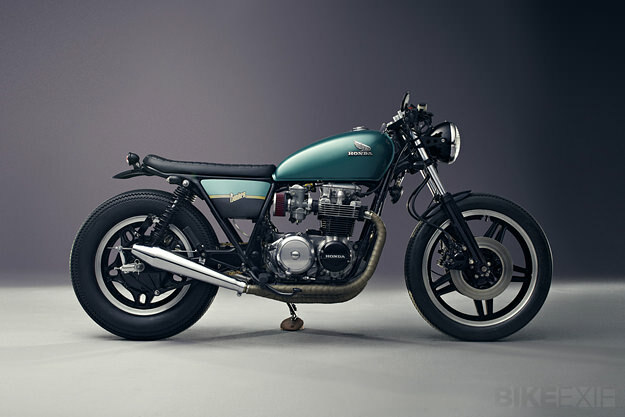 The fussy Honda CB650 rear end was removed and a cleaner Brat-style tail section constructed, finished with a sleeker and flatter seat. The pull-back ‘wheelbarrow’ bars are gone, replaced by clip-ons from LSL. 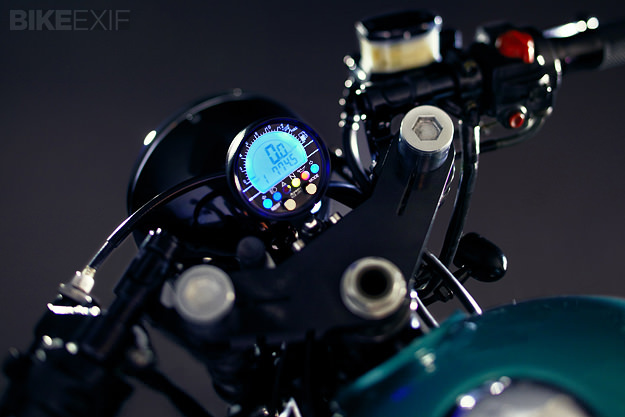 The headlight is a Lucas item and the instrument is a simple Acewell upgrade. At the back, a compact stop light and indicators keep things looking clean, and the ignition key has been switched to the left side panel. The usual CB650 Custom 4-into-4 exhaust has been swapped out for simpler 4-into-2 pipework, terminated with Emgo mufflers. The wheels are the same size as stock, 19” at the front and 16” at the back—but a fatter rear tire and a bobbed aluminum front fender improve the visual balance. Images by Onur Aynagoz. 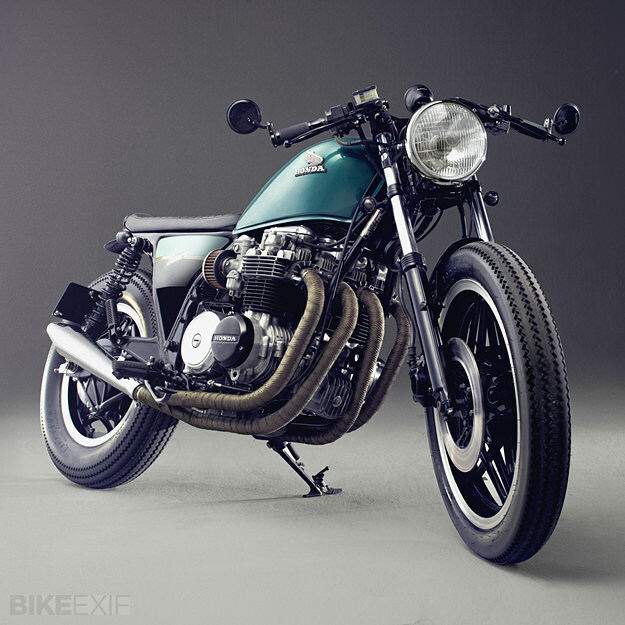 Keep track of Bunker Custom Cycles’ future builds via Instagram.